This video summarises the results and policy implications of our e-bike research in the UK. When an e-bike is made available, many people choose to use it, and it has substantial effects on their travel behavior. This is likely to result in reduced carbon emissions, lower congestion and an increase in health and wellbeing. Our study gave electrically-assisted bikes to 100 people, for 6-8 weeks each (commuters of 2 large employers+community groups). 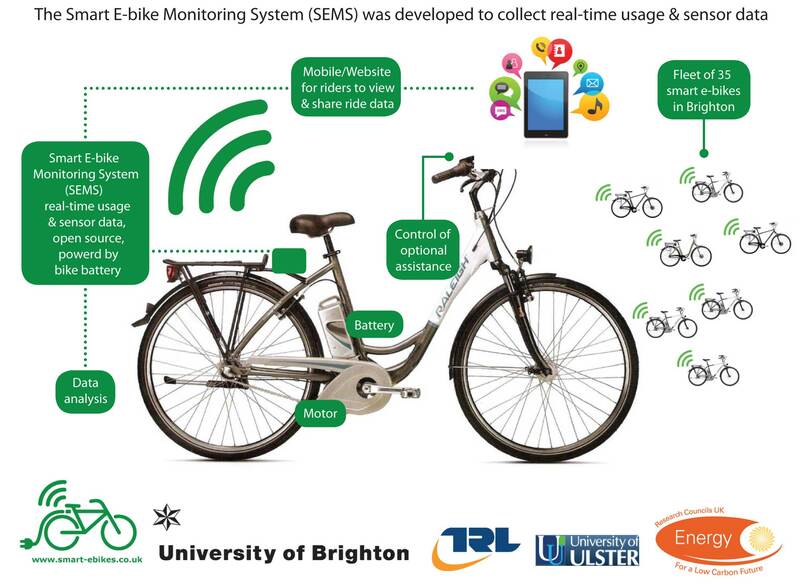 The ‘smart’ monitoring system recorded and transmitted bike usage data, used with survey+interview data. Watch the video for more results! Our efforts to spread the word about the ‘Smart e-bikes’ project continue with a presentation by Frauke at the BarCamp of the CAPS conference http://caps-conference.eu/ which is the first international event on Collective Awareness Platforms for Sustainability and Social Innovation and is taking place in Brussels on 1st July 2014. CAPS projects http://ec.europa.eu/digital-agenda/en/collective-awareness-platforms-sustainability-and-social-innovation are EU-funded projects working towards “harnessing collective intelligence for taking better informed and sustainability-aware decisions”. 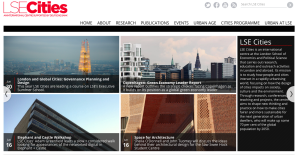 LSE Cities and the MacArthur Foundation have invited Frauke to their Foresight Seminar ‘Urban Governance Futures: Scenarios for London’ on 16 June 2014. She is particularly interested in their focus on the role of big data and real-time information in relation to the establishment of new urban governance processes and structure in cities. The seminar’s specific case study is urban transport in London and Frauke looks forward to contributing a smart e-bikes perspective. Brighton and Hove City Council’s Transport Planning Department are borrowing three of our electric bikes for three community events in Brighton. Members of the public will see the bikes in action and some people will have the opportunity to ride an e-bike for up to an hour in a free cycle training session with a qualified cycle trainer.